No more lost invoices or forgotten due dates, KLEVER makes paying bills easy and effortless for consumers! KLEVER is about to revolutionise payment methods, by combining mobile invoicing and invoice financing in a new, unique way. 2.8.2018 Klever was selected from 2500 startup companies as a finalist in the Nordic Startup Awards. Read the press release here. 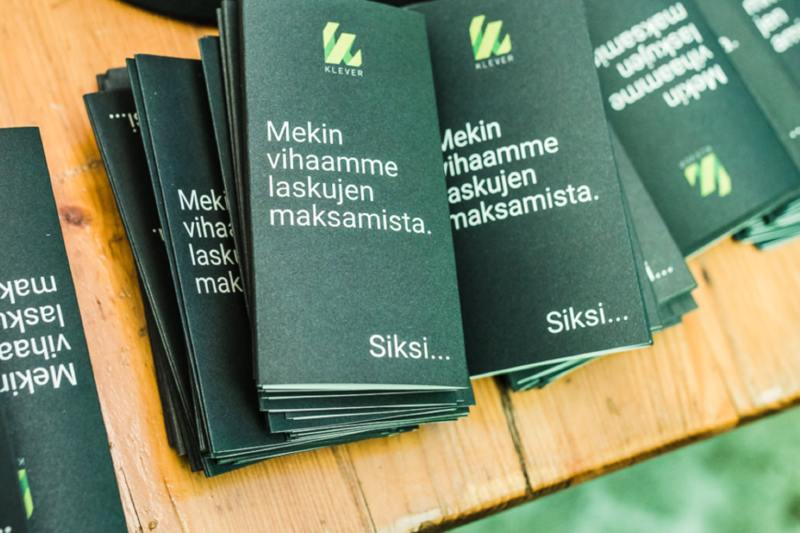 2.8.2018 Our team member Jussi Muurikainen writes about trying, failing and rising up again in his new emotional article. Read it here. 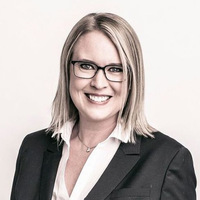 2.8.2018 Get to know Klever’s CEO Jeanette Samuelsson in our newest blogpost here. 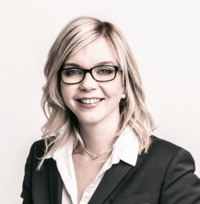 1.8.2018 Why did Elina Koivumäki, the singing lawyer, invest in Klever? Read the blog here. 17.7. The CEO of My Safety and expert in consumer business invests in Klever. You can read more about him and his investment decision here. 12.7.2018 Klever announces a partnership with Lindorff. Read the press release here. 10.7.2018 Nordnet’s securities brokerage manager Nuutti Hartikainen invests in Klever. Read the reasoning behind his investment here. 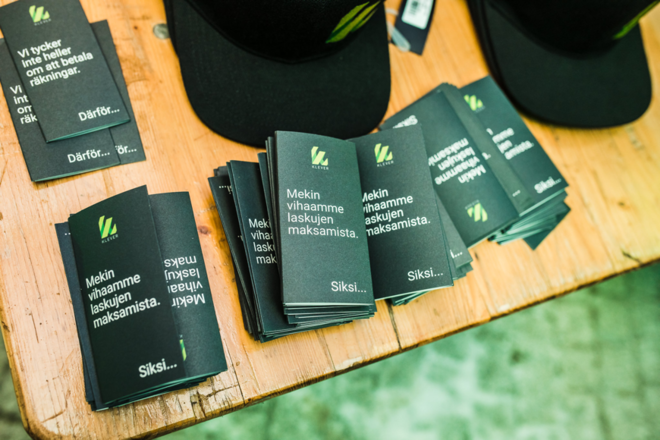 10.7.2018 Sijoittaja.fi analysis Klever as an investment. You can read it in Finnish here. 5.7.2018 Kauppalehti, a significant financial newspaper writes about Klever. Read it here (in Finnish). 4.7.2018 Klever has signed a partnership agreement with the largest invoice distributor in the Nordics, PostNord Strålfors. Read the press release here. 4.7.2018 Mats Wolontis, famous for exits and internationalisation is now a member of Klever’s board of directors. 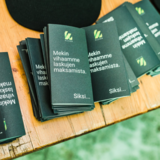 You can read the blog (in Finnish) where he also explains his decision to invest in Klever here. Let’s admit it, nobody likes paying bills. It’s boring and unpleasant. At the same time, the world is digitalising at high speed and just about every issue can be handled on your smartphone, why do we still receive paper bills in our mailbox? In Europe, 18 billion invoices are sent to consumers annually, of which about 80% are paper bills*. Paper billing is not only costly and environmentally burdensome, it’s also a hassle for every party of the invoicing chain. Paper bills are easily lost, sometimes even before they find their destination, they are easily forgotten and are inaccessible while travelling. Even the invoice distributors are unhappy with delivering paper bills, as they are costly, inefficient, and tie a lot of resources. About 22%* of all consumer invoices are paid late. The reason for late payment is rarely the lack of money. The bill may have been lost or forgotten, and sometimes the consumer may not even be of aware of its existence. This results in a variety of unpleasant situations such as payment reminders and debt collection, and at worst, the disruption of the service. Late payments always mean slower cash flow for companies. The e-mail invoices and e-invoices brought by the digitalisation have not offered proper a solution to the problem. Instead, the consumer is growing grey hair as she tries to remember what bill is delivered through which channel. Although the e-invoices provided by banks have been on the market for a while, they have not been able to effectively persuade consumers. This is mainly due to poor user experience during the introduction of the service, which has not been designed with the focus on consumers, and the lack of integrations - invoice distributors do not actively guide us consumers to receive our bills as e-invoices. Klever’s story began in 2015 when Jeanette Samuelsson and Simon Sandvik saw the opportunity to streamline the entire invoicing chain and decided to solve these problems not only for consumers but for companies and distributors too. The mobile app Klever was born, making invoice payment, well, as nice as paying bills possibly can be. The Klever app is the easiest way for consumers to pay their bills. No more lost invoices, forgotten due dates or unnecessary payment reminders! 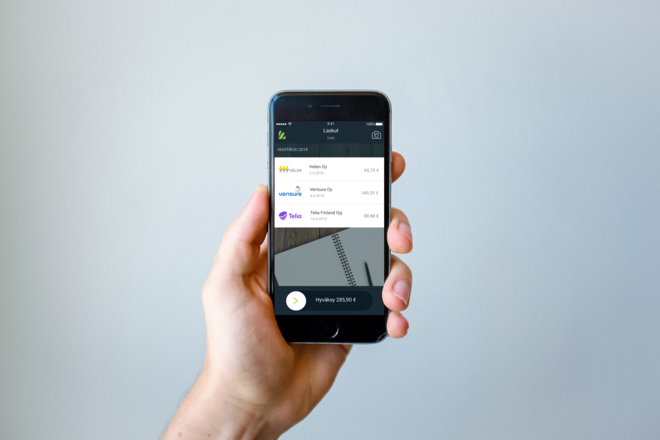 Klever gathers all invoices in one application, sends a notification when a bill is received and when it’s due, and confirms payments with a single swipe. With Klever, you don’t have to enter any references, bar codes, or other strings of numbers. The app also bundles payment reminders with their original invoices. Converting paper bills to mobile invoices is done by simply taking a photo of the received paper bill, Klever reads all the important information and converts it to a digital format using Optical Character Recognition (OCR) technology. After doing this once, the consumer is able to request the invoicer to submit all future invoices directly to Klever. Naturally, paying bills with Klever is as safe as online banking. Klever was released in the autumn of 2017 and has so far been downloaded over 30 000 times. Users have already been satisfied with the application, but we are currently working on our new services together with our partners in order to improve the experience of both consumers and companies. The new services and features will be launched in late 2018. Our team is currently working on extensive service integrations with a number of partners. We have already signed Letters of Intent regarding cooperation with the five biggest invoice distributors on the market. In late 2018, we will launch a new mobile invoice service called the m-Invoice, that will significantly simplify the operations of invoicing companies and invoice distributors, and automate some of the current functions of the Klever app. The launch is executed in cooperation with the largest invoice distributors in the Nordic countries. In the near future, the m-Invoice will be integrated into the invoice distributor’s services as one invoicing channel alongside paper, email and e-invoices. Among these alternatives, the m-Invoice is positioned as the most cost-efficient invoicing channel for both consumers and companies. It is also the fastest way for companies to retrieve their money from sent invoices, partly because of the new payment options Klever offers. The invoicer saves money in delivery costs, not to mention in customer service that consumers won’t have to contact because of lost bills. The m-Invoice is a transparent invoicing method; the system informs the invoicer when an invoice has been delivered to the consumer and when it has been opened. The application reminds the consumer of upcoming due dates and when a bill is overdue, thus speeding up the cash flow of the invoicing companies and reducing late payments. With m-Invoice, no unnecessary payment reminders will be sent, as there is no longer a delay between the informing of payment, the actual payment and the payment reminder. The current, inefficient invoicing system is eating into profit margins of companies using weekly or monthly invoicing, so much so that a short invoicing period is often unprofitable. This is a problem especially for companies whose customers still receive their invoices as paper bills. m-Invoicing is such a cost-effective and efficient invoicing method that it will enable companies to launch new low-cost monthly or weekly invoiced products. For consumers, the launch of the m-Invoice will further simplify the process of changing your invoicing method to mobile invoices. With the release of the m-Invoice, the user is able to determine her future invoicing method as a mobile one in Klever with one click, and the change will take effect immediately. This is possible through the integrations and partnerships Klever has tied, that already enable us to cover most of the Nordic invoicing market. The other service we are publishing at the end of 2018, the m-Platform, will revolutionise the invoice payment methods offered to consumers. The m-Platform allows financiers and banks to provide invoice financing for consumer bills, easily and effortlessly in the same mobile application that consumers already handle their bills in. The launch of the m-Platform is executed in cooperation with the largest banks and financiers in the Nordics. We are undergoing negotiations regarding cooperation with the largest bank on the market and a few smaller ones. Our goal is to launch the partnerships in the autumn of 2018. The consumer can choose to pay the invoice with one of Klever’s many features designed and executed in cooperation with our partners: She can move up the due date of the invoice, split the invoice into several parts or use a credit limit to cover for the invoice. In practice, the m-Platform will make it possible to pay bills by instalment, even though the invoicing company is not offering that payment method. The invoicing company receives the payment on time, and our partners finance the credit for the consumer. As the new payment services directive (PSD2) releases bank-owned account data for third parties (2019), the interests rates offered to consumers can be dynamically adjusted to their risk profiles - the risk profile will be based on data of user payment behaviour. In this case, financiers are able to efficiently control the credit risk and provide reasonable interest rates suitable for each consumer. The m-Platform lets financiers come near the consumer, provide new kinds of services at the right time in an easy and simple way, thus acquiring new customers and increasing their sales. Our vision is to be the preferred consumer mobile invoice and payment platform in Europe. Our strategy is to start doing business in the Nordics, where we already have taken a strong foothold. We will be able to test our services and ensure the functionality of our business model in the Nordic countries (2018-2020). After that, our goal is to scale Klever’s business to cover the rest of Europe by amplifying our partnership model in new market areas. However, the expansion will begin no earlier than 2020. Succeeding in business is always a sum of many factors, timing being one of them. With Klever, the timing is downright delicious. The financial sector has been in the turmoil of digitalisation for a while now, but there is still more than enough space for good agents to enter the market. Banks have not shown interest in taking the lead in this digital turmoil, but prefer to cooperate with agile and competent startup companies instead. What makes the timing particularly sweet is the new payment services directive PSD2, which takes effect in 2019 and opens up bank-owned data to third parties. This will further accelerate the financial technology sector. The new directive grants authorised third parties access to accounts maintained by banks. As a company, Klever is at a very good stage in relation to the new legislation. We will make use of the data to improve our services, especially with m-Platform’s credit rating system. With the newly gained data, we will revolutionise the invoice financing market. In addition, the timing is right for partnering up with invoice distributors too. The invoice distributors have been dissatisfied with their invoicing channels for years. They have been stuck with their range of inefficient and costly channels for a long time. Klever is the first highly scalable mobile invoicing channel for consumers. After negotiations with Klever, almost every major invoice distributor has been interested in cooperation and integrating the m-Invoice into their channels. This enables Klever to have a significant coverage of invoicing channels at the time of our launch. The size of the market is enormous. Each year, 18 billion consumer invoices are sent in Europe. Even a 1% market share would mean 180 million invoices going through Klever annually. Klever's business is grown through partners, making Klever's business model 100% scalable. We provide a platform for operators in the field so all of us can focus on doing what we do best. Sufficient coverage is essential for the success of a consumer service like Klever. It is important that the consumer can convert all the invoices they want to m-Invoices - whenever they want to. Partial coverage would cause the consumer's frustration to continue as she kept searching for her bills from multiple locations. That is precisely why a single invoice distributor or bank does not support the creation of an m-Invoice service by themselves - coverage would then fall short from the consumer's point of view. Klever is far in the contract negotiations with the largest invoice distributors in the Nordic countries and is already through these underway contracts covering more than 60% of all consumer invoices delivered through distributors. We continue the negotiations and strive to expand our coverage further when the m-Invoice is released at the end of 2018. Our service model could be described as the "Uber of billing" - we do not aim to finance or distribute the invoices ourselves, we simply provide a platform for existing operators to improve their service and act in a more consumer-friendly way. We call our business model a hybrid one, and it is best described with the tongue-twister B2B2B2C – we serve every single party of the invoicing chain. This gives us confidence in our own growth forecast, and interests of the various players support our growth from different directions – Klever is beneficial to all parties in the invoicing chain. Thanks to our hybrid model, we can, among other things, offer tools for m-Invoice campaigns directly to invoicing companies, as we know the necessary integration of invoice distributors already exists. For a detailed description of the benefits our operating model provides to the various invoicing chain parties, see our company presentation in the attachments. Our cash flow is generated from two different directions. The m-Invoice is based on a transaction-based business model, in which Klever receives a fixed price (x-cent per invoice) for each invoice delivered and paid. In case the of m-Platform, we are paid for the financial transactions arising from the platform: monthly fees dependent on the financier's transactional volumes, user-specific charges for acquisitions of new customers, invoice delivery fees, and usage fees. For consumers, the application itself is free of charge. Our revenue forecast can be found in the appendix. There are a few other mobile invoicing services in Klever's competitive field, as well as the bank-owned mobile banking applications, although they are decisively different from Klever's core functions. Regarding invoicing channels, the e-invoice can be seen as the closest competitor to the m-Invoice. The m-Platform, on the other hand, is a unique solution. A comparison of the features and prices of the various invoicing channels can be found in our company presentation (appendix). Today every bank has its own mobile banking application, where consumers can view their account information, pay invoices, and confirm e-invoices. Compared to Klever, invoice payment is trickier and the e-invoice coverage is weak (27% / Finland*). Paying paper bills (65%*) and email-invoices (7%*) in the mobile bank is rather difficult as it requires fumbling with barcodes and/or account and reference numbers. Finland is still Europe's top spot for e-invoicing, in Europe the situation is even weaker and only about 20% of consumer bills are delivered in electronic channels. In Europe, mobile invoicing services are provided by some of our competitors: Roger in Denmark, Payr & mInvoice in Norway, Billhop & Kivra in Sweden, and Netposti and Laskuni.fi in Finland. The m-Platform, combining financial services with m-Invoices, is a unique service. We are not aware of any competitor who would link invoice financiers directly to invoice recipients, through a mobile platform. We believe and expect the actual competition to begin when the new Payment Services Directive PSD2 takes effect in 2019, which opens up bank-owned data interfaces to third parties. We are ready for it and its timing is perfect for Klever. Efficiently converting consumers to m-Invoice is the cornerstone of our success. This is why the consumer has been at the heart of all our design and development efforts so far. We respond to the needs of the consumer and make invoice payment modern - Klever is the easiest and most convenient way for consumers to pay invoices. Optical Character Recognition (OCR) technology that quickly converts paper bills into digital invoices provides the user with a WOW-effect in all its easiness. In addition to helping consumers, we solve problems of the entire invoicing industry. Our hybrid business model offers competitive advantages for invoice distributors, invoicing companies and consumers. Together, these advantages support Klever in the competitive field. Our team is highly proficient and extremely motivated. Our management team has expertise and experience in founding, growing and exiting startups, entrepreneurship, finance and management tasks. All combined, we have been doing this for more than 60 years. We know what it takes to achieve growth, we have made a plan for it, and its implementation is already in full swing. Our industry is interesting because the size of the market is enormous and contains a lot of untapped potential. Klever is also in the right phase regarding the 2019 new Payment Services Directive PSD2, which will release bank-owned data for businesses. Our strategy to grow through partnerships makes Klever a fully scalable business. In practice, all major invoice distributors have already announced their willingness to cooperate with Klever and to add m-Invoice as one of their invoicing channels. We are developing the service together with them. In addition to the invoice distributors, we will release new financial and bank partnerships in late 2018. Our hybrid business model strengthens Klever's position on the market and provides a number of different supporters for our growth. All parties in the invoicing chain benefit from Klever and have a number of excellent reasons to start using it. At the same time, the hybrid model brings many different paths of cash flow to Klever, thus basing our success on more than one product or business model. By working directly with all parties of the invoicing chain, we can support each party in assisting us with converting paper bills to mobile invoices. We offer the invoicing companies tools for m-Invoice campaigns - by helping companies in marketing we also help ourselves. In product development, we have the consumers at heart. Ultimately the success of our entire business culminates in the consumer interest in Klever. We have already demonstrated consumer interest in our application by achieving over 30,000 downloads in a year. We convert customers from other invoicing channels to m-Invoice using Optical Character Recognition technology, which in all its ease provides a WOW-effect to the application user. For consumers, converting to m-Invoice is only one photo and a few clicks away. In a nutshell, Klever is an extremely user-friendly service with a proficient and motivated team and a unique hybrid business model that benefits both consumers and businesses. Klever is entering a market that has traditionally been in the hands of major players such as banks and large invoice distributors. Our upcoming developments are likely to lead to market leaders placing bids on the company in the coming years. However, in line with the company's current aggressive growth strategy, we are not seeking a quick exit within the next 2-3 years. Klever's employers and management team consist of top experts with extensive experience in entrepreneurship and growth. The whole team is characterized by a good team spirit and a positive attitude towards life. Our strengths include more than 60 years of experience in management teams, thorough financial knowledge of both banks, fintech companies and funders, a long history of digital services development, and the ability to build partnerships and partnership agreements between several actors. Jeanette is a hard-working entrepreneur, with never-ending nerves no matter how heavy the pressure. She is a serial-entrepreneur on the financial market and a true team leader. Her experience in the financial sector (founding Fixura) gives her good insight of where the industry is going. Jeanette is very ambitious in how she moves the company forward, organisationally and financially. As a leader, she is fantastic with people. She has the ability to attract super talent around her and motivate them to do their best. She has enough positive energy for it to spill over to the rest of the team. Simon is the other founder of Klever, a serial entrepreneur on the financial market (eg Fixura), and an innovator who knows and understands what kind of business models can be developed in the financial sector. At Klever Simon particularly cares about the user experience of the service, driving the service to an even more unique direction. Simon has the ability to see near and far simultaneously. At one moment he can be seen polishing details of the service interface, and at the next moment, he visualises how to develop the whole strategy of the company in a different direction. 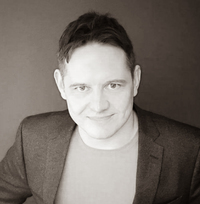 Jyrki is responsible for managing Klever's technical team, the technical side of product development, and partnerships. He is a real "get things done"- person, the one who carries out our vision. Jyrki has led hundreds of development projects during his career. His solid expertise, work routine and brilliant communication skills make him the perfect person to execute development projects in cooperation with corporations. When Jyrki takes the lead, things happen as planned. The hundreds of development projects show off in his work routine. Since we cooperate with major corporations, consistency is a critical success factor. Jussi is the miracle man of networking and interaction, responsible for Klever's PR and communications. Jussi also works closely with Jyrki on Klever’s partnerships. 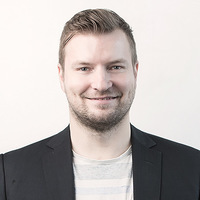 Jussi is at his best building trust and a good atmosphere around him and has very strong software development, banking and investor connections. 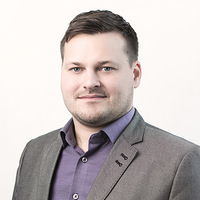 Jussi has extensive experience in the financial sector and moved to Klever from Nordea, where he was in charge of developing the cooperation with fintech companies. In addition to Klever, Jussi is also involved with several startups and fintech companies as a partner (eg Flashnode), founder (Balancion) and advisor (eg Treamer). Christina is the mother figure of the entire office. She knows what everyone is up to in the midst of the hurry. Christina keeps the balance in the company and ensures that practical things are up and running in due time. Her responsibilities include developing our governance practices, reporting, preparation of government materials and holding on to deadlines. Christina has years of solid experience in administrative matters in various fields. She always performs her duties with joy and just the right amount of sturdiness.